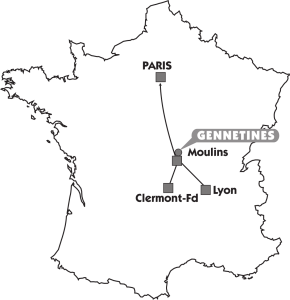 Gennetines is situated 300 km south of Paris and 10 km north of Moulins, in the Allier Department. The Bal de l’Europe takes place on an old Bourbonnais farm, Les Gauthiers, situated on the D288, halfway between the villages of Gennetines and Trevol. By train, the nearest station is 10 km away at Moulins-sur-Allier ; there is no regular transport to the festival site. 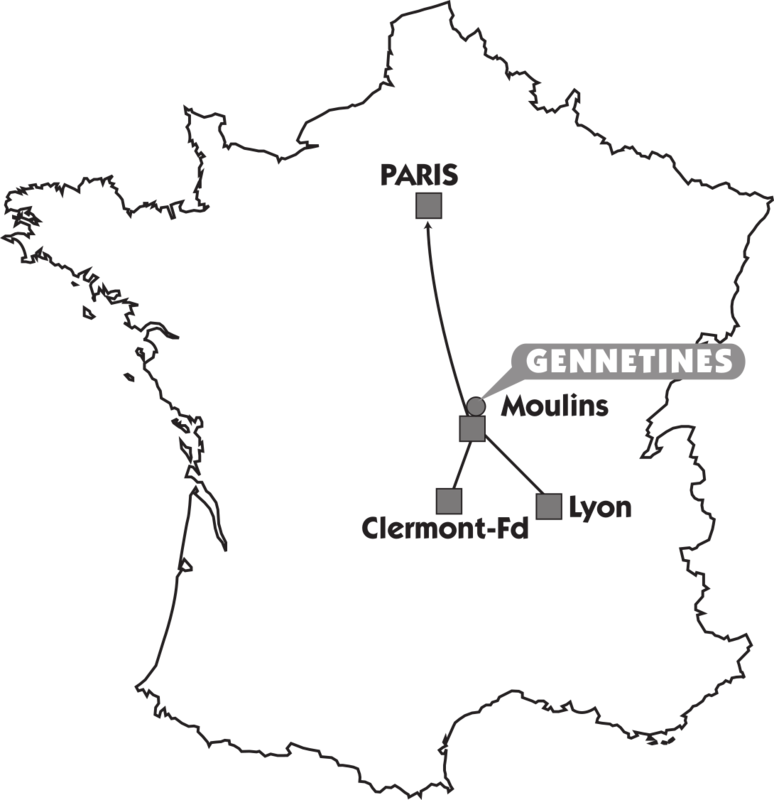 If you take a taxi, tell the driver you are going to the Bal de l’Europe, « aux Gauthiers », at Gennetines, on the D288. We invite you to visit this website : www.covoiturageauvergne.net Just fill in the arrival or departure town : Gennetines (03400). This site is supported by the Regional Council Auvergne-Rhône-Alpes and the Allier Departmental Council.